I am really in love with animal prints and then I saw this beautiful examples. 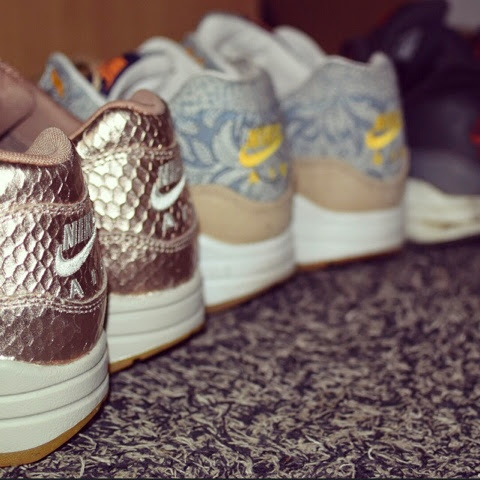 The nike cut out collection with scales. 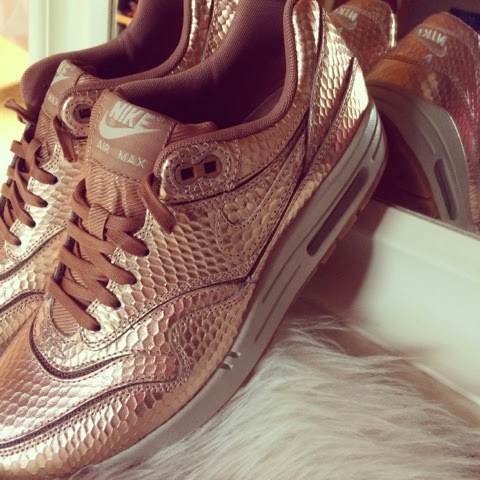 The color of the shoes is rose gold or bronze. 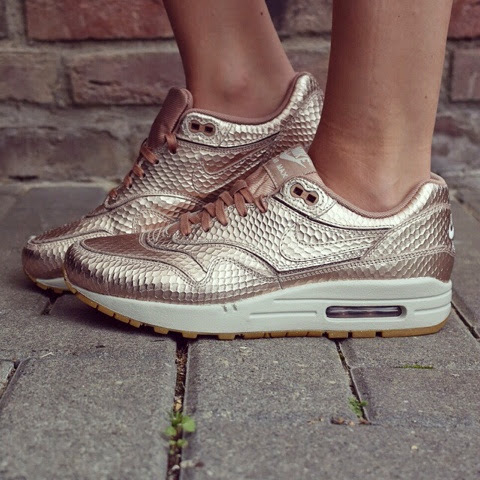 The shoes are limited and the name of the shoes is: "Nike Air Max 1 Wmns Prm Cut Out"
I'm so happy that I saw them in a little store next to me. The Sky Dunk (with wedge) Model is available too. Ich bin richtig verliebt in Tiermuster und dann hab ich diese Schuhe gesehen. 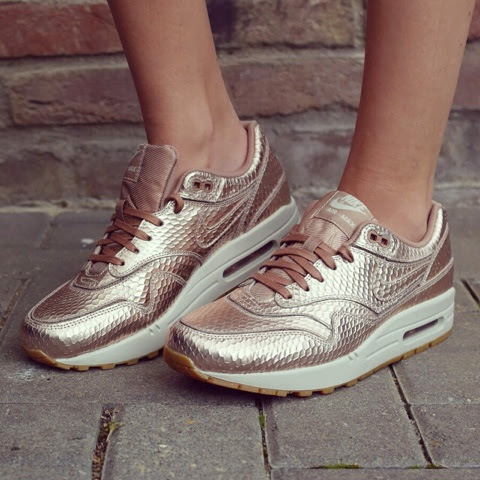 Die Schuhe sind limitiert und das Modell heißt: "Nike Air Max 1 Wmns Prm Cut Out"
Ich bin so glücklich das ich Sie in einen kleinen Geschäft in der Nähe von mir gesehen habe. Das Sky Dunk (mit Keilabsatz) Model ist auch erhältlich.